It is becoming easier and easier to get approved for a mortgage these days. 64% of all loan applicants closed on homes in May 2015. This a six tick improvement from one year ago. Furthermore, banks are telling the Federal Reserve that they’re loosening mortgage guidelines for borrowers of all types. Even though it is easier than ever to obtain to a mortgage, banks are not being reckless. They have just come to realize that the mortgage standards may have toughened too much after last decade’s losses. Put in a business way, the pendulum is swinging back to a point of common sense. Guidelines have loosened over time to the point where lenders now treat credit card debt completely differently then they have in the past. If you have been turned down for a mortgage in the recent past, it is a good idea to re-apply and get approved today. Qualifying for a mortgage is easier than you may think. Not only have mortgage approval standards loosened as we mentioned, but since the start of the decade consumers have greater access to mortgage lenders than during any point in history. Brick-and-mortgage banks are seemingly everywhere, and for consumers with existing banking relationships, branches can be an excellent place to give mortgage applications for conventional loan, FHA loan, VA loan, and USDA loan. For consumers who choose to go outside the line of banks, there is a good amount of lenders willing to make a mortgage work with a borrower. The first step in getting approved for a loan is to inquire about one. That can be as simple as contacting NSH Mortgage to gain more information on the process. In most cases, you will be asked for your income, bank accounts, and housing history. If you’re a renter with no history of homeownerships, expect to be asked about a few of your past residences. The process of obtaining a mortgage will also include questions of citizenship, employment history, and current debt obligations. Your debt obligations can be discovered through your current credit report, which a lender will ask that you provide. It is at your discretion to give access to your credit, but if you can’t give an accurate quote to your lender of your credit score, they may need to go around it and find out your FICO credit score to gain more information on you. After receiving this information, a lender can make an accurate decision on whether you will be accepted as-is, or if some changes need to be made. If you need some changes made to be able to get approved, a good first place to go is to pay off your credit cards. Applicants who use credit cards monthly have a higher chance of being approved because of their spending being able to be tracked for a history report. For credit cards that are paid in full at closing, lenders are no longer required to “close” the credit card in order to exclude it form the application. A credit card paid-in-full no longer counts against the applicant’s debt-to-income score. 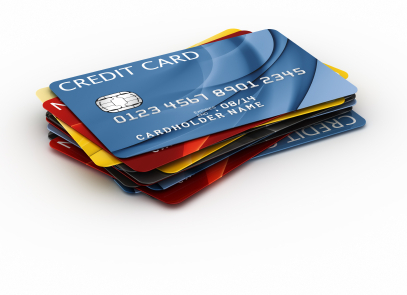 This will greatly benefit credit card users that pay their full amount each month. The second group this will benefit greatly is homeowners doing a debt consolidation. Refinancing and using home equity to pay down credit cards are an example of a way the refinancing may be used. Under the new credit card rules, credit cards paid off from debt consolidation no longer count against a person’s DTI. Previously cards were required to be paid and closed. Closing cards is no longer required. The last group that benefits from these changes is comprised of home buyers and refinance applicants who find themselves close to qualifying, but their DTI levels fall outside today’s requirements. For these consumers, cash in the bank can be used to pay down cards at closing, in order to reach the level of DTI required to get approved. Even with cards that have $250 or less on them, this can mean the difference of getting approved or turned down. NSH Mortgage can help you step through the process of obtaining a mortgage, and instruct you on which cards need to be paid off to receive an optimal DTI level. Mortgage approval rates are at their highest levels this decade and, with changes meant to help today’s borrowers, approval rates are expected to climb through 2015 and into 2016.